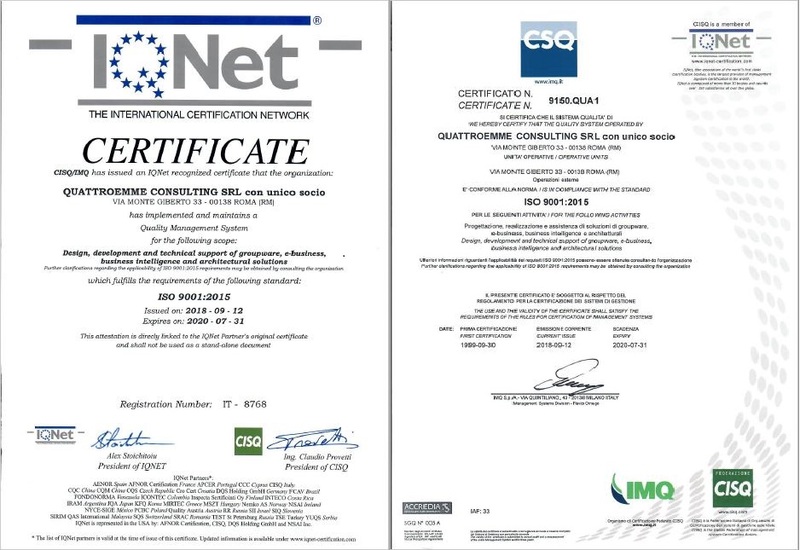 Rome, 18th September 2018 – Quattroemme Consulting has achieved the certification UNI EN ISO 9001:2015 (from last revision 9001:2008) for its Quality System. This certification is aimed to provide guidance and tools to the companies and organizations who want that their products and services consistently meet customer’s requirements and that quality is consistently improved. This standard is based on a number of quality management principles that are aimed to semplify business processes with particular attention to the risk management activities, in order to enhance the company’s efficiency and the customers satisfaction.